When it comes to incorporating multimedia into your website, most people start with reliable methods like video and slideshows, but adding audio clips and podcast series are other interactive ways to add extra value for your customers when appropriate. Whether the job is cutting a tomato or checking your tire pressure, it's always easier to do work when you have the right tools. If you are getting started and only experimenting with audio recording, you can get away with capturing your first audio clips using your computer's microphone. However, if you want to elevate your results and get something a little more professional, consider investing in a reliable digital voice recorder. They can range in price from $50 for a basic recorder to $250 or more for really sophisticated models. You may also consider getting an accessory to allow you to record phone conversations and a "sock" to buffer out wind noise from being captured when recording outside. Hint: Writers and journalists often use digital voice recorders to capture interviews. If you have a friend who already works regularly with audio, consider borrowing their recorder to get familiar with how they work and what features are most important to you. 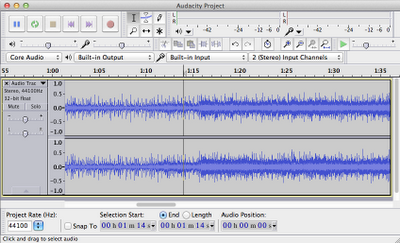 It's hard to capture audio that's ready to "publish" online without doing a little polishing. 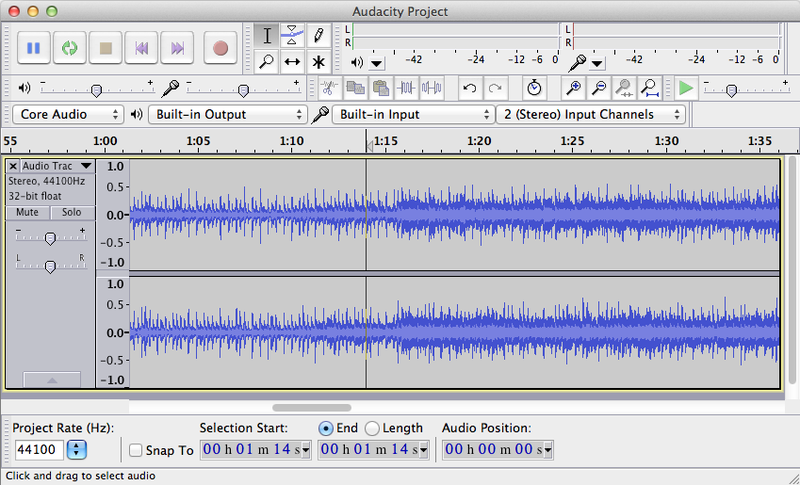 The easiest way to use to reduce white noise, balance sound, and make other types of audio editing tweaks is by installing and using Audacity, a free and open source cross-platform software. The program's developers continue to evolve and improve Audacity, so I recommend bookmarking the website to check for updates. The second version was released only one month ago. Hint: To keep your computer moving smoothly, you may also want to consider buying a supplemental hard drive devoted to storing your sound files. Like video files, audio files take up a lot of space. The ways to add audio strategically to your website are endless. Many companies have photos-only slideshows of products. An easy audio enhancement for your website might be to add narrated captions to help your customers better understand the value of your offerings. Sometimes written examples of your company's services are all you need, but maybe you want to enhance them? If you offer translation services, audio clips might be used to compliment your portfolio to show samples of your skills in action. If there are cases when video is too much but written copy doesn't quite get you there, audio might be your solution. A e-newsletter is great when your company has many updates to share, but what if your main news is that you continue to do good work and solve problems for your customers? If you provide a service where your expertise is valued, a podcast series might allow you to showcase the depth of your knowledge and your personality at the same time. There are many different formats you could consider, including one in which you field questions from your customers in the spirit of Click and Clack at Car Talk, one of the Web's most downloaded podcast series. Hint: For more inspiration on how you might effectively incorporate audio into your website and online marketing strategy, don't just look at your competition's website. Look in unexpected places for ideas. For instance, the New York Times is always pushing boundaries with how they incorporate interactivity into their story-telling. 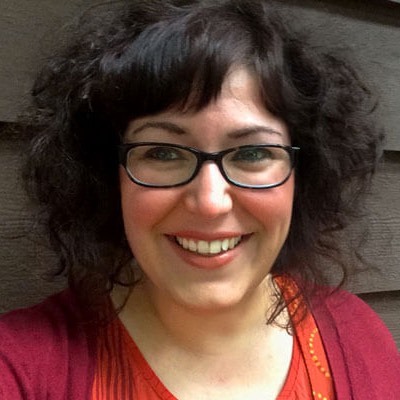 Their engaging audio slideshow about Ansel Adams' photography is one of my favorite examples of their effective uses of audio to enhance their website. Interested in adding audio clips or a podcast series to your website? TBH Creative can help review your marketing plan and find out what would be the best ways for audio to add value to your website. Schedule a web consultation.